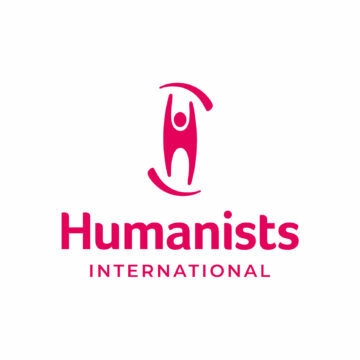 In a joint statement to the UN Human Rights Council on behalf of the International Humanist and Ethical Union (IHEU) and Center for Inquiry (CFI), Canadian women’s rights activist Raheel Raza criticised Saudi Arabia for its 30-year record of funding and promoting Islamic extremism. The reports on Somalia [A/HRC/21/36] and Northern Mali [A/HRC/21/64] highlight a far wider problem that we are also witnessing in Libya, Iraq, Iran, Egypt, Pakistan, Nigeria and Saudi Arabia: the excesses of those dedicated to violent, extremist interpretations of Islam. The destruction of Sufi shrines and the imposition of strict sharia in northern Mali; the targeted killings already this year of more than 400 Shias Muslims in Pakistan, and the appalling use of blasphemy laws in Saudi Arabia and Pakistan to silence, imprison and incite violence against those of different faiths, are all symptoms of this disease. When and how did the religion of peace become transformed in to a religion of violence and extremism? Well, Madam President, we don’t have very far to look. For more than 30 years, Wahabi and Salafi interpretations of Islam have been promoted and funded by Saudi Arabia, a Member State of this Council. Can the failure of the OIC to effectively tackle this problem possibly be related to the fact that the OIC itself receives substantial funding from the same source? Madam President, extremism and violence carried out in the name of Islam are doing more than any actions of the West to fan the flames of hatred against Islam. Since 1979 the benign faith of our grandparents has been hijacked by politicians, governments and well-funded militias to promote extremism, violence and terror. So the key question for the OIC is this: Will they continue to bleat about Islamophobia in the West whilst ignoring Islamic extremism at home, or will they finally decide that enough is enough, and take positive steps to tackle the problem at its source?